Automatic Target Recognition provides an inside view of the automatic target recognition (ATR) domain from the perspective of an engineer working in the field for 40 years. The algorithm descriptions and testing procedures covered in the book are appropriate for addressing military problems and unique aspects and considerations in the design, testing, and fielding of ATR systems. These considerations need to be understood by ATR engineers working in the defense industry as well as by their government customers. The final chapter discusses the future of ATR and provides a type of Turing test for determining if an ATR system is truly smart (neuromorphic or brain-like). The Appendix provides difficult-to-find resources available to the ATR engineer. 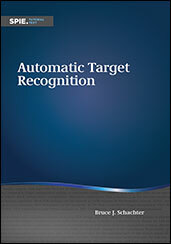 If you do not have access to SAE MOBILUS via username/password or institutional access, you can still purchase the Book, Automatic Target Recognition.